Tópico em '2018' criado por rapier em 31/07/2017, 08:53. 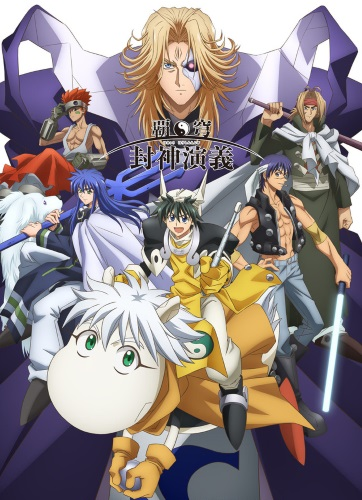 Sinopse AniDB: * Based on an adventure fantasy manga series by Fujisaki Ryuu. The story is set in legendary China. A beautiful female fox spirit named Dakki is controlling the emperor Chu-o and the ruling In dynasty, and is using her power over him to do evil in the nation. An immortal-in-training named Taikobo is chosen by the great immortal sages for the Houshin Project - to seal away or destroy the evil demons that infest the world. In the course of his adventures, Taikobo gathers other powerful companions and sets out to seal away the demons and eventually destroy the fox-spirit Dakki. Agora tou curioso pra saber se vai ser remake. Não parece bom não, vários sinais de alerta. (31/07/2017, 13:34)Gabrinius Escreveu: Não parece bom não, vários sinais de alerta. Então já tem um anime disso? Mas pelo que tu disse não é recomendado eu ver. Dá a impressão de que será remake em vez de continuação.